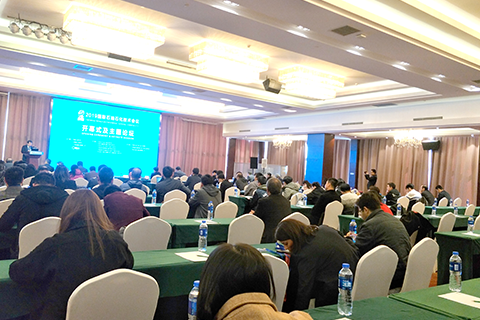 2020 International Petroleum and Petrochemical Technology Conference (IPPTC) will be held on March 26-28, 2020 in Beijing, China. Also, the IPPTC will be equipped with the large global exhibition – CIPPE (more than 1800 exhibitors). This conference aims to provide an ideal opportunity for industry experts, leading engineers, researchers and technical managers as well as university scholars to share ideas and research achievements related to petroleum & petrochemical technology and discuss the practical challenges encountered and the solutions adopted. It will create a platform to bridge the knowledge gap between China and the world. The theme of IPPTC 2020 is “Challenging Petroleum and Petrochemical Industry in Technological Innovation”. The conference addresses the application from upstream to downstream technology from all over the world. The IPPTC 2020 offers executive and technical sessions that discuss strategies to help extract maximum value from upstream to downstream—to clearly understand the impact of technical risk and improve the quality of your results. Registrations will be accepted on a first-come, first-serve basis. The Conduct Committee encourages attendance from those who can contribute to the meeting most effectively either in discussions or with posters. Attendees from different geographic origins and companies will be encouraged. Visa requirements for China can differ from country to country. Contact your nearest Chinese Embassy for more information. Those who request official invitations for visa application are required to fill in relevant details in registration form. Upon requests, official invitation letters will be issued and sent by fax or E-mail. To reserve it to be consistent with conference objectives, commercialism in presentations will not be permitted. Company logos should be used only to indicate the affiliation of the presenters. Attendees will be provided bilingual service – English and Chinese – at working time. Simultaneous interpretation will be arranged during conference period.